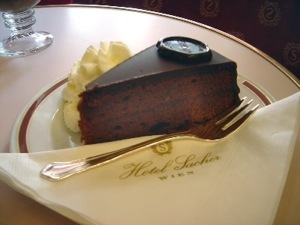 This entry was posted in art and tagged bourgeois, Freud, psychoanalysis, Sacher Torte, Vienna by Richard J Williams. Bookmark the permalink. Short blog piece based on a talk, ‘Psychoanalysis and the City’. The venue was a workshop held at the University of Edinburgh, supported by the Royal Society of Edinburgh and the Artists’ Rooms project, a joint venture between the university, Tate, and Scotland’s National Galleries.